07 Dec 2018 --- The gut microbiome is closely linked to overall health and may vary according to ethnicity, joint research between Vanderbilt University, Tennessee, and the University of Minnesota, US, has found. However, the researchers point out that although foods and supplements that target the microbiome are currently gaining popularity, more research is needed to pinpoint what exactly constitutes a healthy gut microbiome. Changing the gut microbiome to beat illness does hold great potential, but first scientists must answer what constitutes a healthy gut microbiome and in whom, according to Vanderbilt University biologist Seth Bordenstein. The researchers studied data on nearly 1,700 Americans of varying genders, ages, weights and ethnicities, and found that gut microbiome differences among ethnicities are the most consistent factor. During their study, the researchers discovered twelve types of bacteria that often vary in concentrations among different ethnicities, suggesting that this factor has a strong influence on gut health. The discovery holds promise in the burgeoning field of individualized medicine because it is far easier to change a person’s microbiome than their genes – the other major markers for disease, note the researchers. The findings are also significant because many chronic diseases disproportionately affect certain ethnic minorities, with the underlying differences remaining unknown. “Human genomes are 99.9 percent the same between any two people, so what we're really interested in is what explains the marked variations in gut microbiomes between people. What are the rules, and can we manipulate that microbiome in order to improve health and medicine in the long run?,” Bordenstein muses. Fermented foods and probiotics are gaining popularity among consumers as convenient means of alleviating gut-related discomfort and promoting the development of healthy gut bacteria. Yet the researchers question current offerings in this space, further highlighting the need for deeper research and personalized solutions. “You may buy probiotics over the counter at a drugstore, but those are unlikely to affect your microbiome in a substantial way. They often are at too low a dose, and they may not even be viable bacteria. Moreover, one size may not fit all,” claims Bordenstein. “With more of this kind of research, we can hone in on the relevant differences and doses of bacteria that may reverse illness or prevent it from developing in the first place,” he says. According to the International Probiotic Association (IPA), several medical and scientific organizations highly recommend the use of probiotics to improve gastrointestinal symptoms or diseases in children and adults. These organizations include the World Gastroenterology Organization and the European Society for Paediatric Gastroenterology Hepatology and Nutrition. “We know that not all probiotics work the same way. 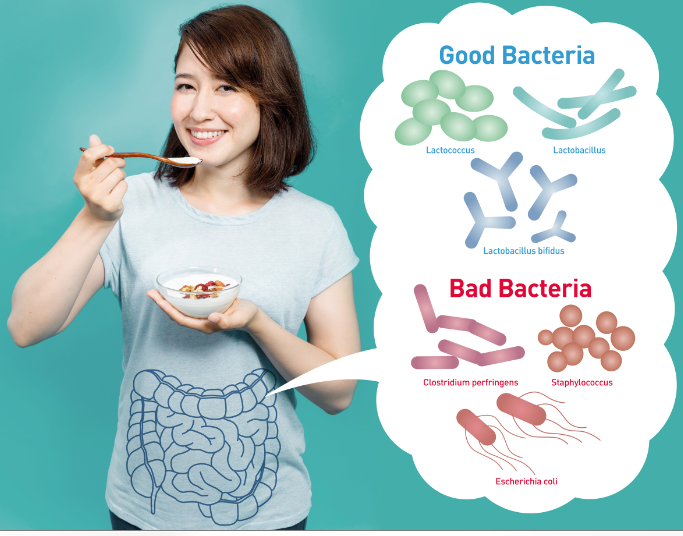 Research has shown that different probiotic bacteria have different effects on health and disease, which means not all probiotics will help with all symptoms or conditions,” she comments. “In general, the monitoring of the production and bioavailability of known probiotic core properties and/or specific effector molecules during strain selection, product manufacturing and formulation would result in improved probiotic-product quality criteria relative to the number of viable cells that is currently used,” Pecere adds. Ethnicity plays a role in many areas of a person’s life, ranging from diet to lifestyle and genetics and it's difficult to pinpoint what exactly affects the microbiome most specifically, therefore more research is warranted according to Andrew Brooks, a doctoral student in the Vanderbilt Genetics Institute who analyzed data for the study. Digestive health is an ongoing discussion and more and more emerging science links a healthy microbiome to nearly every facet of health. The ongoing media reporting on probiotics have helped drive consumer interest in gut health. This growing area offers a wealth of opportunities to formulators, but due to regulatory demands and increasing consumer scrutiny, a clear view of how to navigate this space is vital. GNUBiotics (Switzerland) is developing a novel platform for selective microbiota modulation, with an initial market focus on the pet food arena. A subsequent entrance is foreseen into the infant nutrition market. The company won the Ingredients category at the Startup Innovation Challenge at HiE 2018 in Frankfurt, in November.